On this episode of The GAP Luke Lawrie and Joab Gilroy talk about Battle Arena Melbourne 9 and the search for terrible coffee. They also discuss the games they’ve been playing which includes The Surge, PlayerUnknown’s Battlegrounds, Spaceplan, Dead By Daylight, Injustice 2, Virtual Fighting Championship, and more. Over in the news Square Enix is cutting their ties to IO Interactive, a report that the Mass Effect series has been put on hold, The Witcher is being turned into a TV series on Netflix, and Ubisoft announce The Crew 2 and FarCry 5. 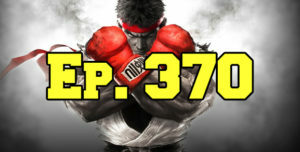 This episode goes for 1 hour and 55 minutes, it also contains coarse language.